BOSTON (AP) — For a good portion of his life, Rob Gauvin swore by "Sweet Caroline." He considered it a fundamental part of the Fenway Park experience — like the Pesky Pole or the sausages on Lansdowne. 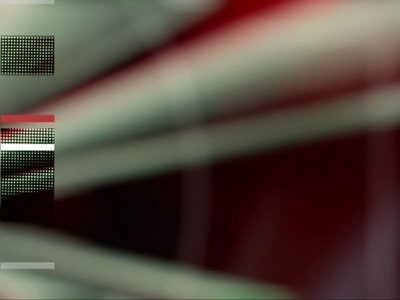 He liked that it was unique to the Red Sox, that it brought people together, and when the 1969 Neil Diamond hit kicked in midway through the eighth inning, as it did during every Red Sox home game, he'd stand with the masses and belt out verse after verse. William L. Smith, 77, of Baraboo, passed away Thursday, March 29, 2018, at home. He was born Jan. 1, 1941, to Harold and Maybelle Smith, in Chicago. Bill worked for the United States Postal Service for 30 years as a clerk and carrier. He retired in 2003. Bill was also proud of his career in retail as shoe store manager in Chicago, Utica and Niagara Falls, New York, and Jackson, Michigan. It took two years of songwriting, three months of demo-ing, one long weekend in a studio and six more months of home recording and mixing to create Jeremy Messersmiths new album. Things are gonna get real busy next year, Messersmith said with equal parts elation, trepidation and (it turned out) naivet. New research has revealed that the Queen hit Bohemian Rhapsody is the song that's most likely to be belted out in a car. The study, by AA, looked into the songs that bring passengers together during long car journeys. The 1975 Queen anthem topped the list and was closely followed by Bon Jovi's Livin' On A Prayer, followed by the cheesy classic Sweet Caroline by Neil Diamond. O’NEILL — St. Patrick’s Day here in Nebraska’s “Irish capital” is such a big event that it takes a week to fully celebrate it. This year, festivities already began Sunday and will run through Saturday with some time-honored favorite activities as well as new attractions. This year’s theme, “Irish Olympics — Green is the New Gold!” will be the 51st city-wide event of its kind. Margaret E. “Marge” Anderson, 71, Beaver Dam, passed away Thursday, Jan. 25, 2018, at her brother’s home in Randolph. Margaret was born the daughter of Wayne and Eleanor (Kranz) Kelm on Sept. 22, 1946, in Beaver Dam. She was a graduate of Hustisford High School. Marge was married to Phillip Butzine until his passing. She later was married to John Anderson. Marge had a strong work ethic and was employed as a waitress and also a factory worker until she became disabled. James “Jim” Joseph Koenig, 67, peacefully passed away on January 18, 2018 with comfort knowing all of his loved ones were able to say their goodbyes. Queen and Tina Turner have been honored with a Recording Academy Lifetime Achievement Award. The “Bohemian Rhapsody” hitmakers — including the late Freddie Mercury, Brian May, Roger Taylor and John Deacon — have been recognized alongside the “Simply the Best” singer as well as the likes of Neil Diamond and Emmylou Harris. PIERRE, S.D. (AP) — This year's "Mount Rushmore's American Pride" float in the Macy's Thanksgiving Day Parade will feature legendary rhythm and blues singer Smokey Robinson. This will be the eighth year the South Dakota Department of Tourism float will appear in the New York City parade. The float features the iconic faces at Mount Rushmore National Memorial in western South Dakota. Other famous singers have appeared on the float in past years, including Neil Diamond and Don McLean. WICHITA, Kan. (AP) — Big-name acts like Paul McCartney and Neil Diamond helped the Intrust Bank Arena in Wichita more than triple its profits this year. The Wichita Eagle reports the high-priced acts also led to a 43 percent increase in the average ticket price at the arena. Arena management reported total net income was just below $700,000 through the third quarter of this year, compared with $213,000 at the same time last year. The band's November shows traditionally have been Veteran's Day-oriented collections of marches and rousing songs. But this year's "Americana" concerts, which open Nov. 2 at Linton Middle School in Penn Hills, are going another route. ACTION! : South End residents had to deal with the “Equalizer 2” being filmed in their hood this week. On the bright side — the chance to peep at star Denzel Washington in the flesh on Union Park. 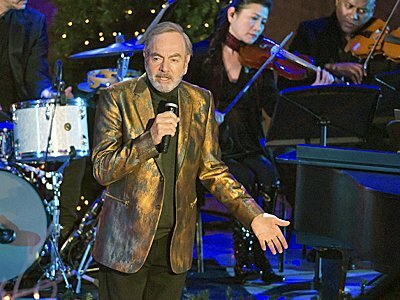 PITTSBURGH (AP) — The University of Pittsburgh is hoping to employ the feel-good mojo generated by Neil Diamond's "Sweet Caroline" strategically at key points of its football games. Pitt has used the song to encourage a fan singalong between the third and fourth quarters in recent years. But in a news release Friday, the school says after feedback from players, coaches, and fans, "The song will now be played at different points in the game." The Louisville Crashers headlined Friday night's Music in the Park concert at Bicentennial Park. Food vendors were on hand starting at 5 p.m. before local musician Chris Jesse took the stage ahead of the popular Kentucky cover band. Lead singer Mark Maxwell worked his way through the crowd of around 400 as he sang hits by artists such as Neil Diamond, Maroon 5 and Pharrell Williams. Maxwell encouraged, and often joined in, with dancing concert-goers on the concrete dance floor in front of the Bicentennial stage. The four-part summer concert series will come to a close with a performance by Rusty Bladen Sept. 8 at the Broadway Fountain. Editor’s note: Paul Turner is taking some time off. In his absence, we’re diving into the archives here at Slice Central. Today, we revisit Aug. 8, 2008. Some little hellions were out in front of my house yelling. I couldn’t make out what they were shouting, but I could sure hear their squealing voices. Savoring an opportunity to shift into “mean old man Turner” mode, I opened the door. The sweet-faced kids explained that they were trying to track down a lost dog named Kayla. Their costumes — a wedding gown, Mike Wazowski from “Monsters, Inc.,” Fred Flintstone. Their instruments — trumpets, drums, string bass, saxophones. On Wednesday, the Scottville Clown Band was back for its summer kick-off concert, bringing the tunes with them to Ludington’s Waterfront Park. KEOKUK - The Keokuk Rocks the Arts Festival has booked three major acts in a variety of musical genres for performances on Saturday, June 10 – Denny Diamond, John Waite and Hell’s/Bells. “With all the activities going on during Keokuk Rocks the Arts, it will be hard to choose a favorite – you’ll think you have gone to sleep and woke up in Chicago,” said Kirk Brandenberger, executive director of the Keokuk Area Convention and Tourism Bureau. NEW YORK (AP) — Sandy Gallin, an agent and talent manager who guided the careers of such luminaries as Barbra Streisand, Dolly Parton, Cher and Nicole Kidman, as well as being a TV, movie and Broadway producer, has died in Los Angeles. He was 76. Gallin died Friday after a long battle with multiple myeloma, according to close friend Bruce Bozzi. "We lost a shining light this morning," Bozzi wrote on Instagram in tribute. St. John's Summer Concert Series opens on July 6 with country act, Larry Gatlin and the Gatlin Brothers with opener Jessica Lechner. The concerts re held outside on the lawn at the Fred and Marie Miller Pavillion. They are free and open to all. Openers go on at 6 and the main act begins performing at 7 p.m.
BEVERLY HILLS, Calif. (AP) — Mary J. Blige warned the audience at the Clive Davis Gala that she was not in a good place. "I look happy, somewhat, but I'm going through some horrible stuff right now," said Blige, who was about to perform in tribute to Saturday night's honoree, BET Networks President Debra Lee. 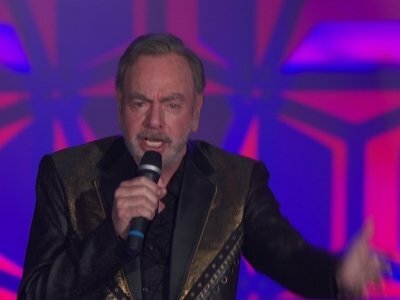 Downtown Cabaret is celebrating New Year’s Eve with a “Neil Diamond & DJ Dance Party” at the venerable Bridgeport landmark theater. Area favorite Tom Sadge, a professional impersonator, returns to the cabaret to ring in the new year. 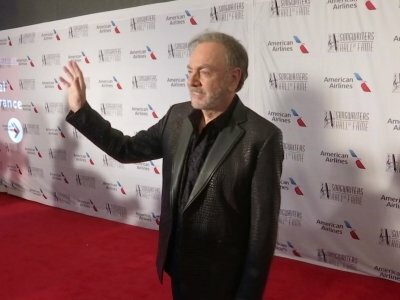 NEW YORK (AP) — Neil Diamond took "Song Sung Blue" to the top of the charts, and now he promises to leave "no song unsung" when he takes the stage next year for a world tour. The 75-year-old singer-songwriter promises to play the highlights of his discography on his upcoming "50 Year Anniversary World Tour" — including songs he wrote for the 1960s TV rock band The Monkees. NEW YORK (AP) — Thousands of rain-drenched revelers gathered in midtown Manhattan Wednesday night to watch the annual lighting of the Christmas tree in Rockefeller Center. New York City Mayor Bill de Blasio flipped the switch just before 9 p.m., illuminating the 94-foot tall, 14-ton Norway spruce with 50,000 multicolored LED bulbs on 5 miles of wires. The tree is topped with a Swarovski star.